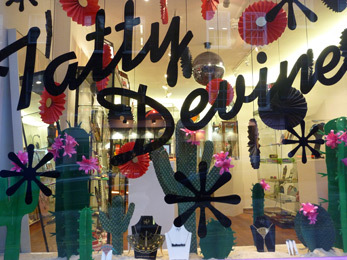 Spring is here... and is warming up at Tatty Devine in Señorita style. Get inspired with our sophisticated fan jewellery that is chic for evening, with its intricate cut-out patterns, contrast colour detailing, and slinky chain tassels. 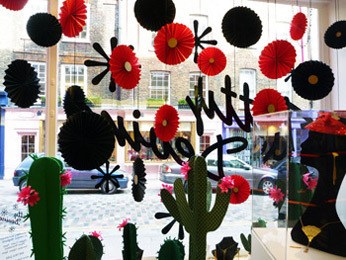 We've created a hot atmosphere in our window to get you in the mood!